If you’re looking to buy a new, compact family hatchback, you’ll be faced with a massive choice. There are so many models available across UK showrooms that it’s easy to buy a hatch that’s capable of ferrying you, your partner, kids and luggage around safely, reliably and fuel-efficiently. If you want to cut your costs further, find a car with a low insurance group. Choosing a car with a low insurance group can make a difference to costs. We’ve rounded up our favourite hatchbacks which don’t have inflated renewal premiums. 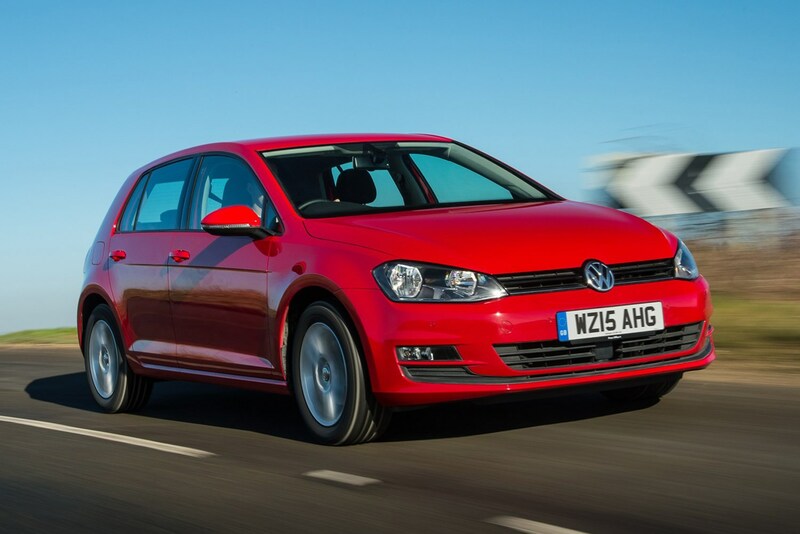 Despite its upmarket feel and image, some versions of the Volkswagen Golf are available in insurance group seven. Not only is it the best compact family hatchback available, annual renewal premiums won’t cost the earth either. Prices for the VW are higher than many of the other choices here but running costs are lower than most with an economical range of engines. Insurance groups for the mainstream Golf range rise up to 19, with the GTD, GTI and Golf R in higher bands, 26, 29 and 34 respectively, to reflect their performance credentials. Sticking to group seven limits you to a single version in the range – the 1.2-litre TSI petrol in S specification. Its 84bhp isn’t as lethargic as you might fear – 0-60mph takes 11.5 seconds – and efficiency is good at a claimed 57mpg and 113g/km of CO2. As standard you’ll find a 5.8-inch information touchscreen, DAB radio, Bluetooth connectivity and air-con. Sharp, striking styling is a SEAT Leon hallmark, effectively disguising the fact that underneath the sheet metal the underpinnings and mechanical components are all but identical to the VW Golf’s. This is no bad thing: the interior offers virtually the same amount of space for passengers and their luggage, although the suspension’s been retuned to be slightly firmer and sportier. 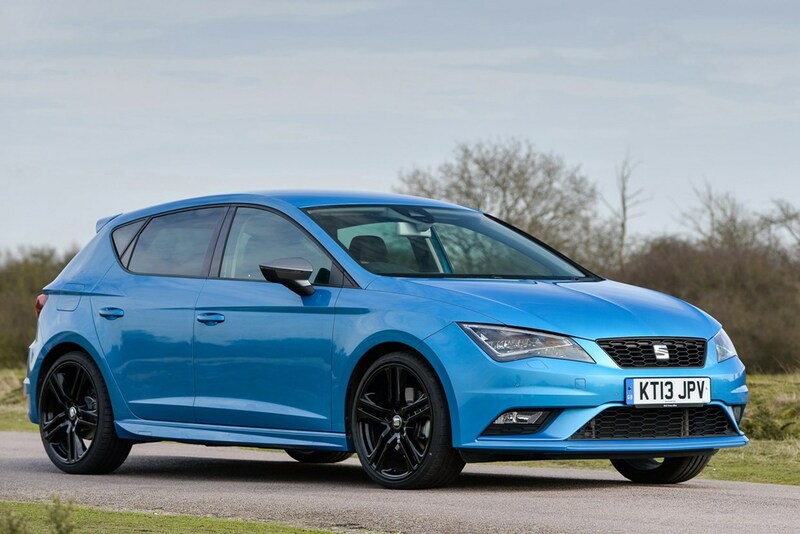 For the bulk of the SEAT compact hatch range insurance groups are higher than the Golf’s ranging from 12 to 36, with the flagship Leon Cupra in 33. Similarly, it’s the lower-powered models that appeal most in terms of cheaper insurance premiums, explaining why we’ve selected the 1.2-litre TSI SE, with 108bhp. That makes it a little quicker than the VW at 9.6 seconds for the 0-60mph dash, although economy and emissions are almost identical to the Golf. Choosing SE trim nets you 16-inch alloy wheels, cruise control and XDS – a system to dramatically reduce front wheel spin under acceleration. 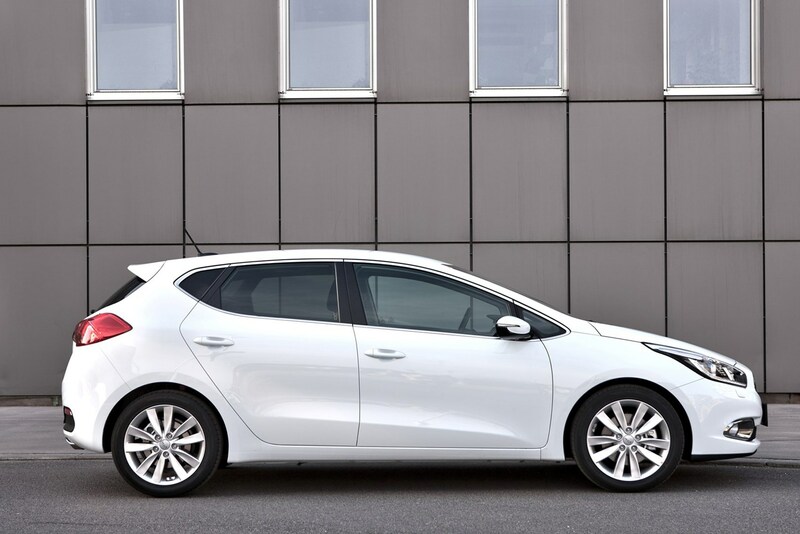 Not only does the Kia Ceed come with the longest warranty in this top 10, it comes with one of the best reliability records too. Built at Kia’s Slovakian plant, the five-door Ceed offers slightly more room for people and luggage than the Golf but can’t match the VW’s upmarket feel. The whole range falls between insurance groups six and 15, with the sportier Ceed GT ranked in group 29. Nevertheless it’s well-assembled and even in entry-level ‘1’ specification we’ve chosen here for the low group seven insurance rating, it’s well equipped. As standard it features air-con, tinted glass, front fog lights and electric mirrors. We’d choose the 1.4-litre CRDi diesel to go with it: performance is a tad pedestrian – 0-60mph takes 13 seconds – but efficiency benefits, with Kia claiming 67mpg and 109g/km of CO2 for this Ceed. You’d struggle to tell from the outside but the Hyundai i30 shares its engines, gearbox and underpinnings with the Kia Ceed, which bodes well for reliability and longevity. Hyundai’s warranty is different – five years to Kia’s seven – but the mileage is unlimited. 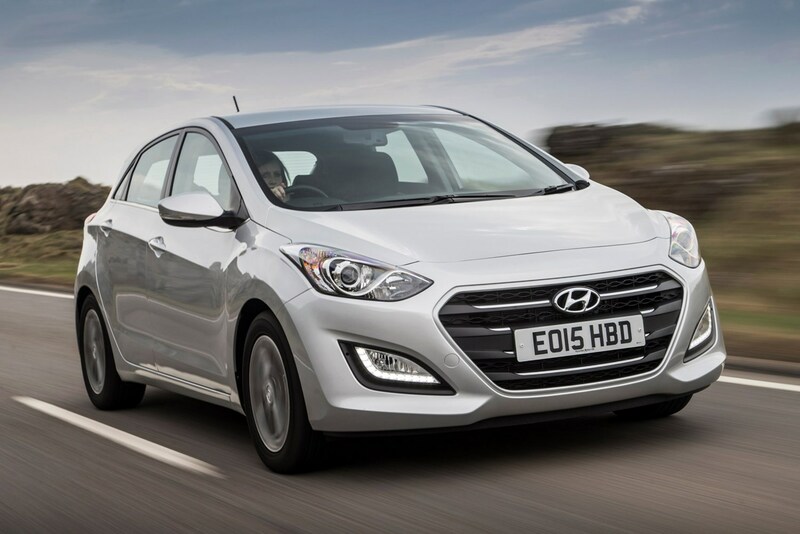 Insurance starts at group six and runs to 13, with the more potent Hyundai i30 Turbo rated at 21. In SE specification it’s generously-appointed featuring 16-inch alloy wheels, cruise control, rear parking sensors and leather wrapping for the steering wheel and gear knob. 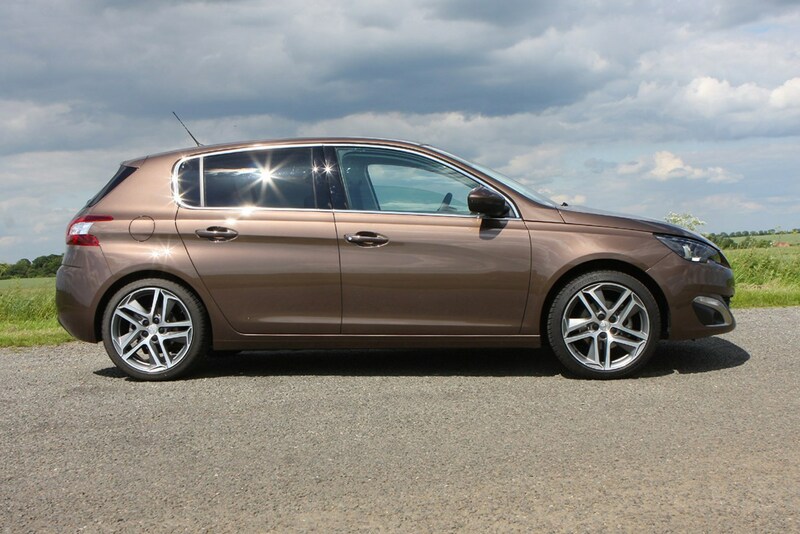 We’re fans of the Peugeot 308 and ran one as a long-termer during 2014, quickly appreciating its comfort, quality and minimalist dashboard, including its 9.7-inch touchscreen for the infotainment system. Rear seat space in the 308 isn’t as generous as some rivals but the flip-side is that enormous 470-litre boot. Insurance groups range from nine to 26 for the GT Line models but be aware that in order to benefit from the lowest band you have to choose the 308 in its most basic Access trim level. This means you’ll miss out on niceties such as the touchscreen but you still get air-con and DAB radio. Power comes from a 1.2-litre three-cylinder petrol engine, serving up a 0-60mph time just under 13 seconds, with claims of 56mpg and 114g/km of CO2. 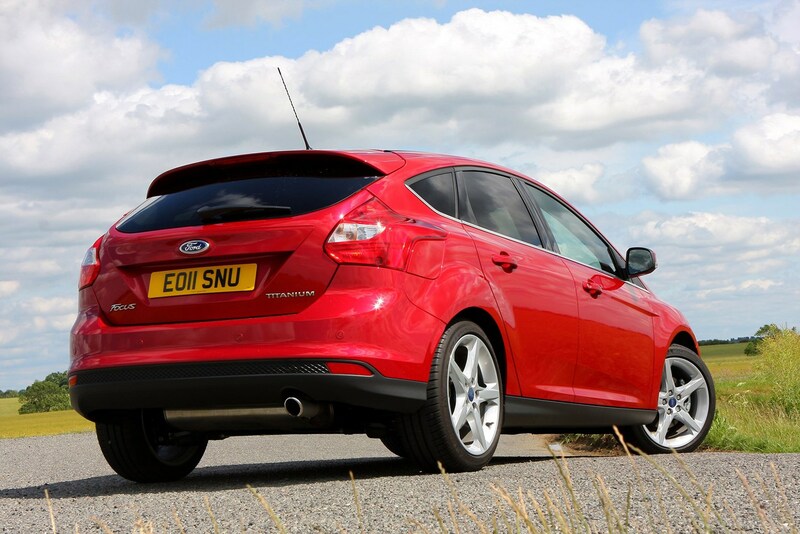 An overhaul in late 2014 reinvigorated the Ford Focus range and introduced a facelift which brought it visually into line with the Fiesta and Mondeo at the same time. Standard equipment and interior quality were significantly improved too, with many Focuses featuring Ford’s Sync2 infotainment system. Insurance group-wise the Ford ranges between 6 and 40, with the potent Focus ST sitting in groups 24 to 36 depending on the level of specification. Our choice is powered by the 99bhp edition of Ford’s 1-litre EcoBoost petrol, resulting in a 12.1-second 0-60mph time and claimed efficiency figures of 61mpg and 105g/km of CO2. 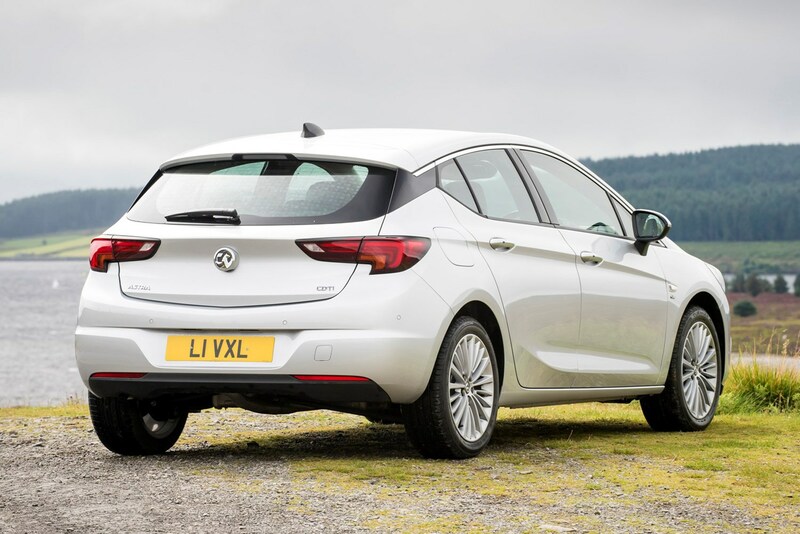 Now in its seventh generation, the recently-launched Vauxhall Astra has already impressed us with its low running costs, fine interior quality and the breadth of technology available, including OnStar – a virtual concierge service. Starting at insurance group 6 and rising to 21, there is currently no replacement for the performance-oriented Astra VXR – the version on sale remains based on the previous model. We’ve plumped for the entry-level Design specification for the Astra: it’s generously-appointed with features such as 16-inch alloy wheels, LED day running lights, air-con, cruise control and a seven-inch touchscreen for the infotainment system with DAB radio and Bluetooth connectivity. Under the bonnet is a 1-litre, three-cylinder petrol engine producing 104bhp. Sprinting from 0-60mph takes a smidgen under 12 seconds, while Vauxhall claims 67mpg and CO2 emissions of just 96g/km when fitted with the Easytronic automatic gearbox. Sharp styling, sound build quality and generous levels of equipment mark out the Mazda 3 range of hatchbacks. 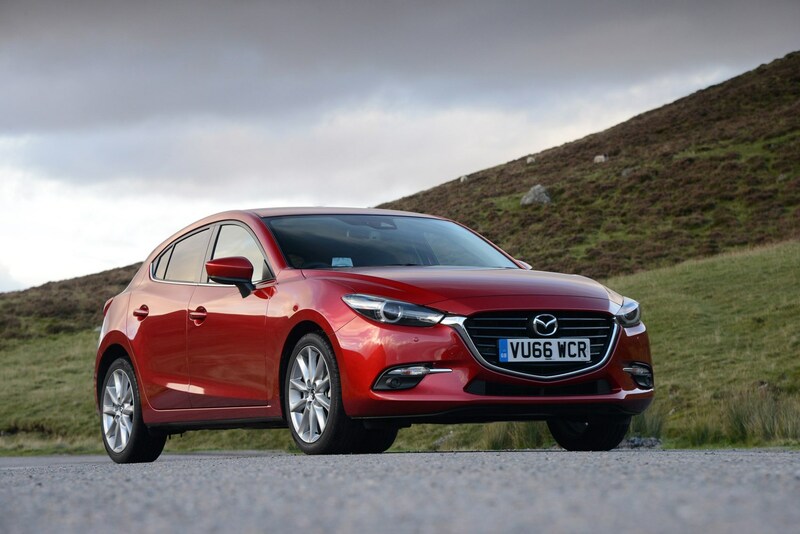 It follows the Japanese brand’s SkyActiv philosophy of weight-saving in order to boost efficiency, hence why it’s running a 1.5-litre petrol engine in our choice, rather than a smaller, turbocharged one like many rivals employ. Even in that guise Mazda claims the 99bhp motor will average 55mpg as well as emitting 119g/km of CO2. There’s no performance-centric version of the 3 available meaning the range sits between insurance groups 13 and 24. Our pick is the entry-level SE version which comes complete with an infotainment touchscreen, Bluetooth connectivity, air-con and all-round electric windows. 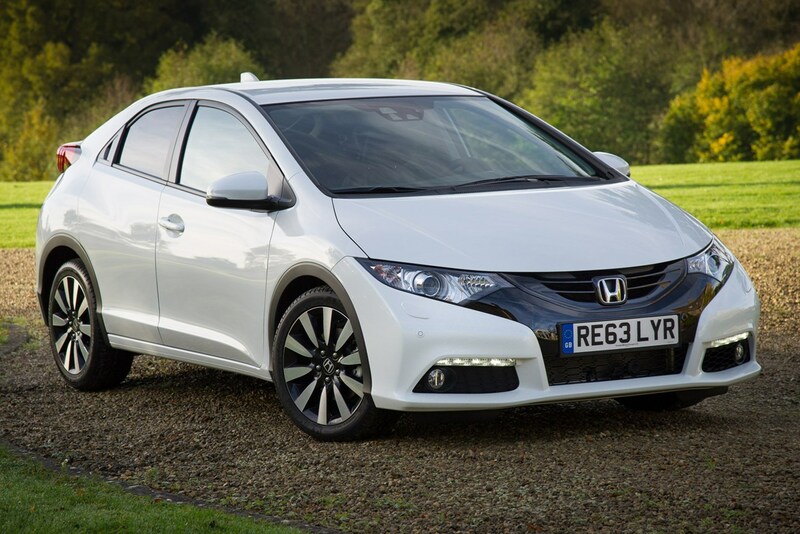 Visually distinctive inside and out, the previous version of the Honda Civic is also the model with the lowest insurance group banding, with 1.4-litre i-VTEC petrol versions slotting into band five. The manic Honda Civic Type R is in group 33. We remain impressed by the Civic’s sheer practicality and flexibility: it already has one of the largest boots in this class but with the ‘Magic Seats’ in the back flipped up there’s a space large enough to carry a bike. That 1.4-litre powerplant delivers adequate performance - 0-60mph takes 13 seconds, while efficiency is quoted at 52mpg and 129g/km of CO2. Choose entry-level S specification and your Honda will come equipped with 16-inch alloy wheels, LED day running lights, climate control and all-round electric windows. While the Toyota Auris is far from the last word in driving pleasure, it does satisfy that group of buyers who rate reliability and ease of use highly in their priorities when buying a new car. It’s a spacious range of five-door hatchbacks, with no performance derivative on offer, hence why insurance groups range from 6 to 16. 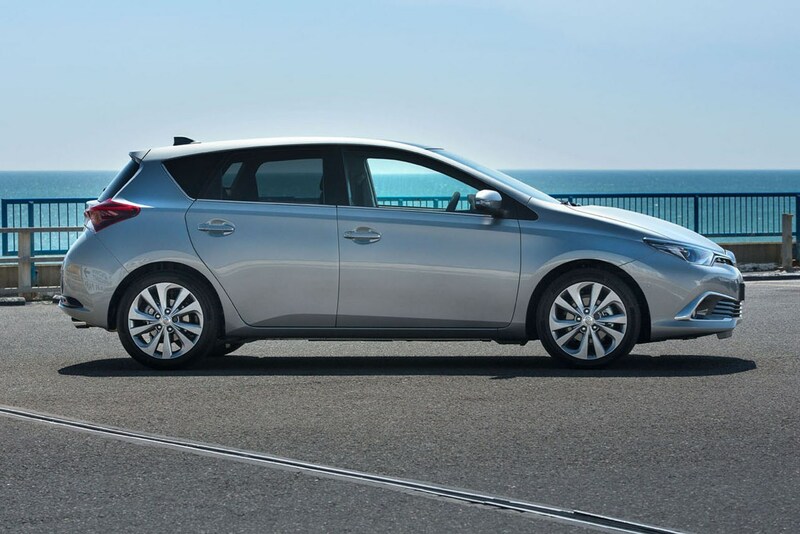 Only one version of the Auris falls into that bottom banding – the entry-level 1.33 Active. Toyota claims it’ll average 52mpg, while CO2 emissions are quoted at 128g/km. Active trim doesn’t mean a paucity of standard equipment, though. Choose this one and your Auris comes with climate control, USB and auxiliary port sockets and electrically adjustable and heated mirrors.